So, I’ve gotten over my grumpiness over the Spider-verse event, and actually dig Spider-Gwen quite a bit. So, I won’t wax whiny about it any longer, and I’ll give you the goods. 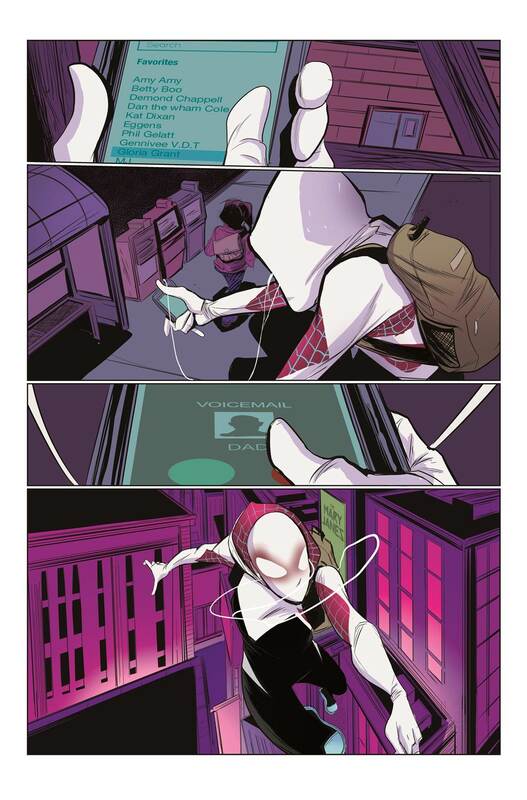 (here is some of the said whining, and more references to Spider-Gwen )Here’s a preview of her return. You know I love you the most, and it’s why I get all the good and juicy pics for you. There are some great variants attached. Read on for the full release directly from Marvel. She’s Back! 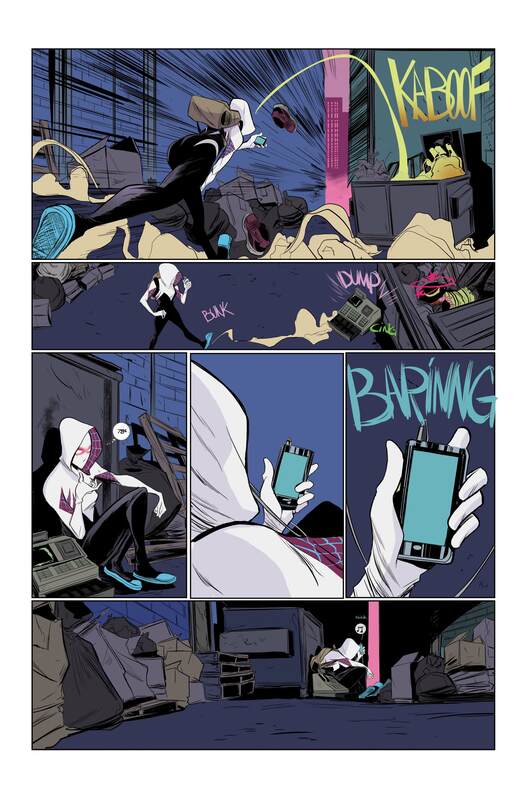 Your First Look Inside SPIDER-GWEN #1! 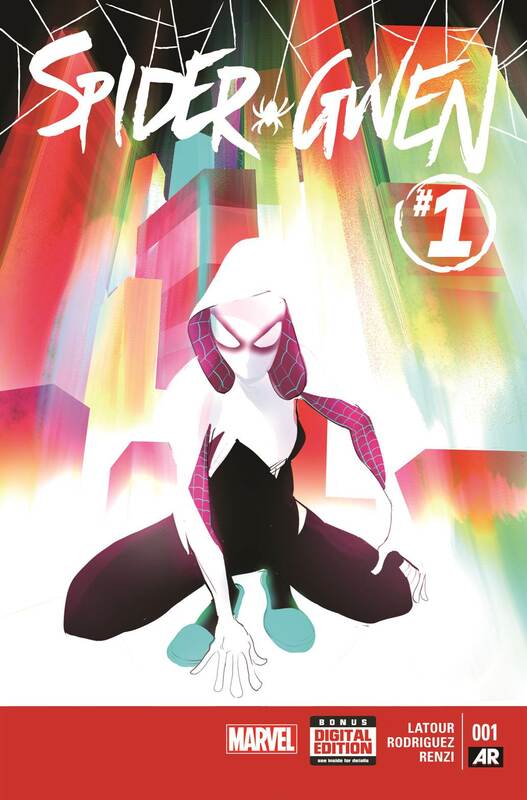 This February, Marvel’s newest, sensational spider-woman is coming back to comic shops in the highly anticipated SPIDER-GWEN #1! Spinning directly out of the pages of the Amazing Spider-Man’s SPIDER-VERSE and the red-hot, sold-out Edge of Spider-Verse #2, is a new ongoing series that already has the whole comic industry buzzing! Jason Latour, Robbi Rodriguez and Rico Renzi all return to chronicle the adventures of the breakout character of 2014! She’s Gwen Stacy. She’s smart, tough, and charming. She drums in a punk rock band and goes to high school just like you. Only she can lift a car and has spider powers! Just don’t tell her father, NYPD Police Chief George Stacy! But you knew all that already! 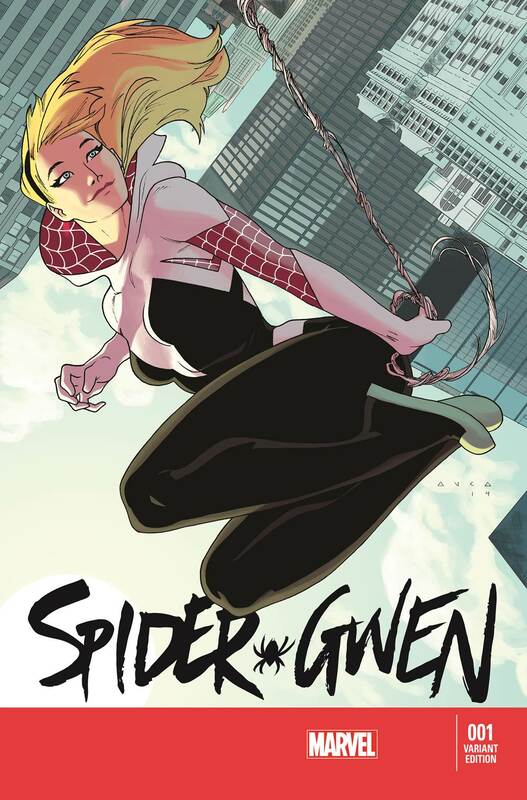 What you don’t know is Gwen is back home following the events of Spider-Verse and you won’t believe what she’s got waiting for her! Now is your chance to get on board with the breakout character of the year as she makes her bombastic debut into her very own ongoing series. 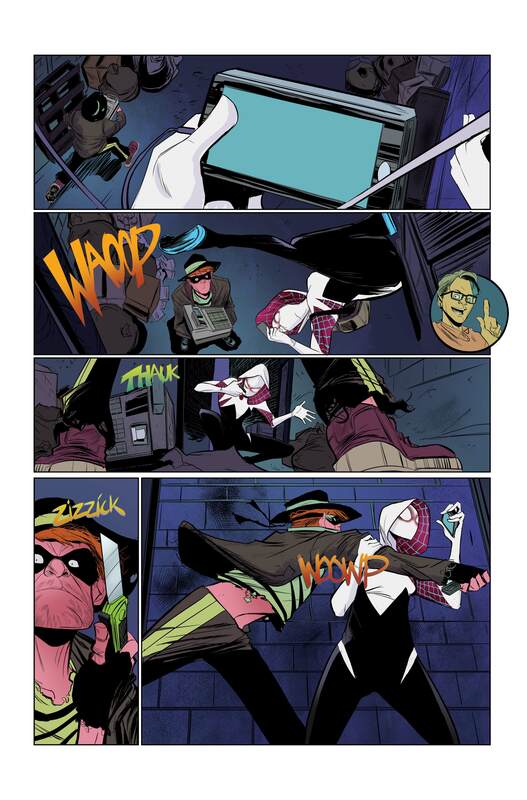 Don’t miss out when Gwen Stacy swings in to comic shops this February in SPIDER-GWEN #1! Love the throwback/classic feel of this Hughes variant cover. 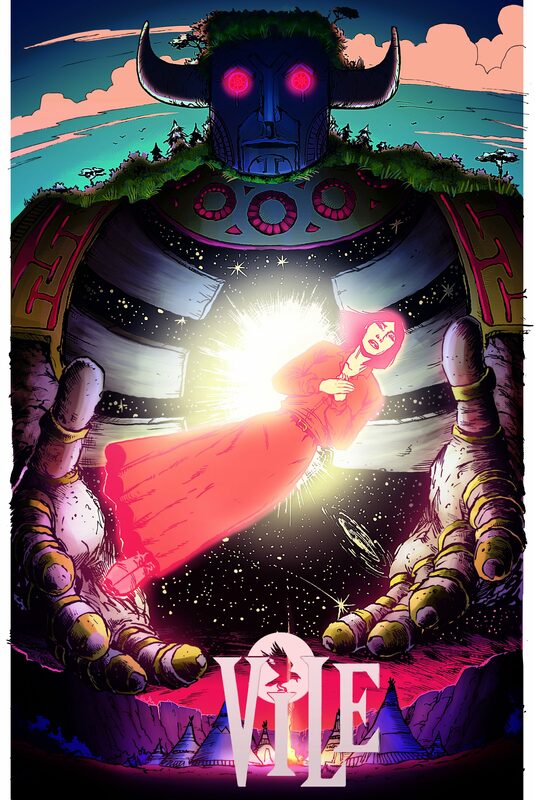 The series goes into its third printing. The incredibly popular comic has gone into its 3rd printing, according to a press release from Marvel. 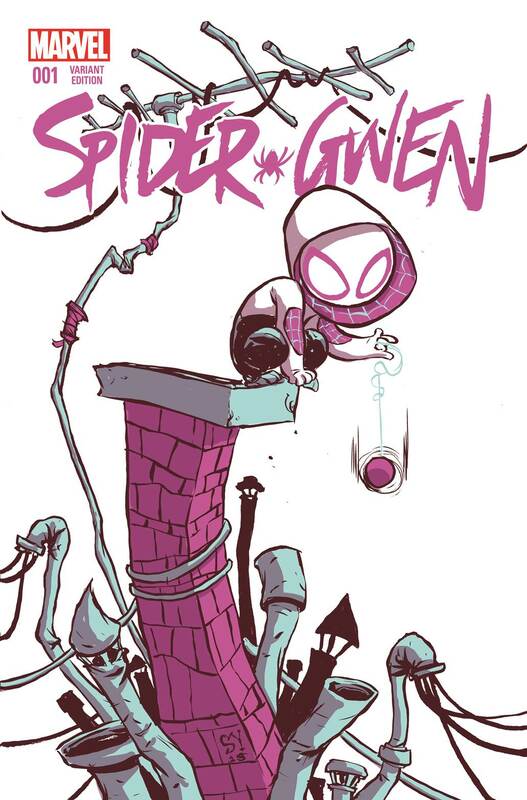 The comic starring Gwen Stacy ties into the far-reaching story arc ‘Spider-verse’ and showcases the talents of Jason Latour, Robbi Rodriguez and Rico Renzi. 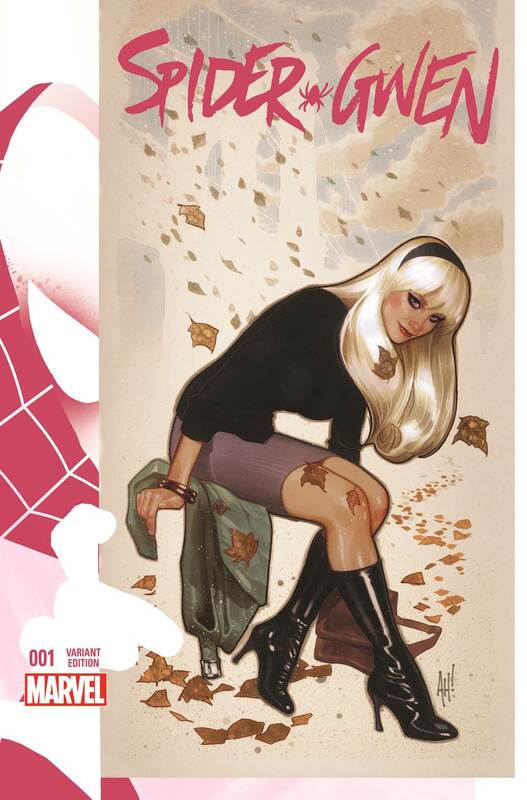 I’m stunned myself that Marvel mined Gwen Stacy to use, considering the impact that her original death had on comics, the Marvel universe and yours truly. It moved comics, or at least Marvel, from perpetually dealing not dealing with real life issues. Marvel of course had some serious storylines before this, but the Gwen Stacy death made Spidey seem more human. Made him feel like us. It made me grow up a little faster. Anyway. I know that I’m still reeling from the Superior Spider-Man series and trying to catch up with the new story arc. 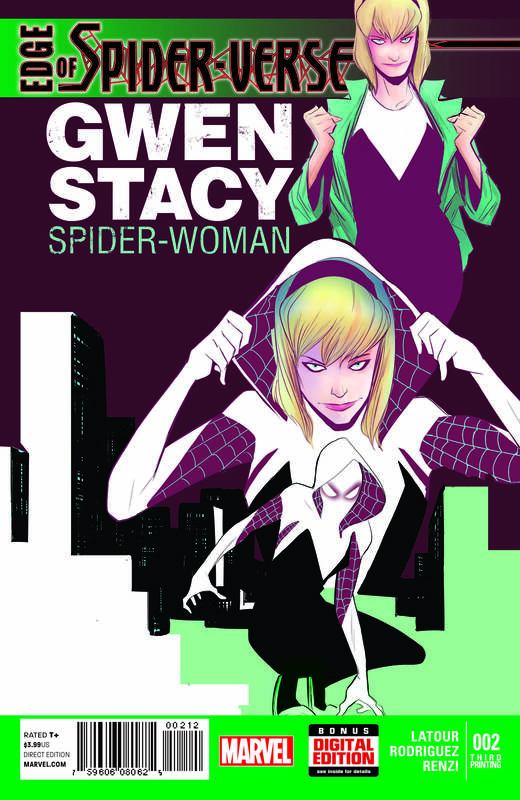 What do you think of Marvel bringing back Gwen Stacy? Is anything sacred in the Marvel Universe anymore?